. 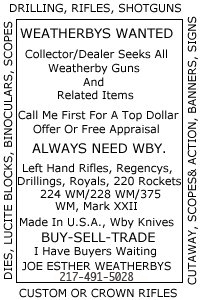 I WILL NOW SELL YOUR COLLECTIBLE WEATHERBY RIFLE OR SHOTGUN OR MEMORABILLIA FOR A SMALL FEE. 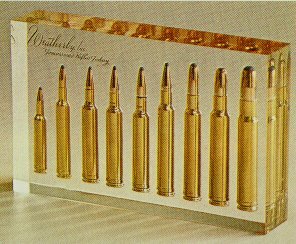 E-MAIL ME, I HAVE BUYERS WAITING FOR GOOD ORIGINAL WEATHERBY ITEMS.